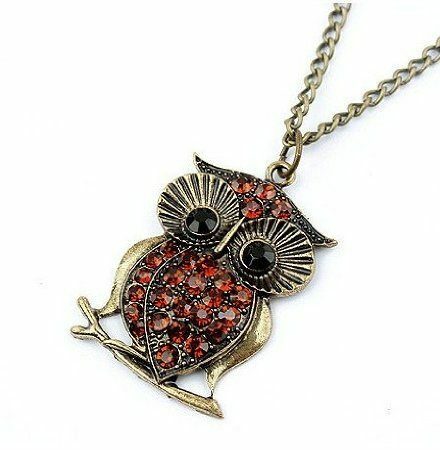 Vintage Red Rhinestone Owl Necklace Only $0.95 Shipped! You are here: Home / Great Deals / Amazon Deals / Vintage Red Rhinestone Owl Necklace Only $0.95 Shipped! Get this Vintage Red Rhinestone Owl Necklace for only $0.95 on Amazon! And, shipping is FREE! I haven’t seen this necklace before and really like the red accents.